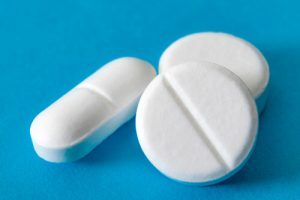 Alcohol and opioids are two unique types of substances. But despite their differences, the two substances function in similar ways. Both opioids and alcohol are central nervous system depressants, which both causes the effects the user is chasing and puts them at risk. When the central nervous system is depressed, key bodily functions are impacted, including respiration and general brain function. Combining multiple depressants increases these effects, which is why mixing opioids and alcohol comes with a high risk of grave injury and death. What are the alcohol and opioid combination health effects? What is the statistics on opioids and drinking? What are the signs of mixing opioids and alcohol? What shall one do in case of alcohol and opioids overdose? Combining drinking and opioids is quite common. For users, it is easy to think of the act as harmless. Many people who are addicted to opioids use prescription drugs rather than street drugs. Given that both liquor and prescription drugs are legal to have and consume, with certain restrictions, it allows users to tell themselves that they do not have a problem and that what they are doing is safe. Still, a substance being legal does not mean that it is without risk. It is widely acknowledged within the medical community that alcohol alone is quite dangerous. There are numerous medications that can have dangerous interactions with alcohol. However, few carry as high of a risk as opioids. It is important that anyone considering combining opioid and alcohol use know the potential effects of doing so. It is common for users to tell themselves that the opioid they are using can be combined with alcohol without a high level of risk. For example, tramadol is often thought of by addicts as being a safer opioid to take, but tramadol and alcohol combined can kill. It is no less hazardous than mixing “harder” opioids, such as combining hydrocodone and alcohol. Any alcohol and an opioid combination is incredibly dangerous. It is important that users understand that the risks of mixing liquor with other substances do not go away when the substances used is not an opioid. For example, Vyvanse and alcohol is a deadly combination, but the drug is a stimulant. Other stimulants are also risky. In combination with alcohol, barbiturates can lead to overdose. Benzodiazepines also have a high risk of overdose when used while drinking. As such, Soma and alcohol should be avoided. Even drugs often thought of as low-risk can combine with liquor in a dangerous manner. Mushrooms and alcohol can cause mental reactions like psychosis. Antibiotics are another class of drugs that can have unexpected interactions. This is why amoxicillin and alcohol should never be combined. Ultimately, while opioids produce perhaps the greatest risk, mixing drinking and drugs is never a good idea. While it is clear that abusing alcohol and opioids separately is dangerous, and the risk is even greater when they are combined, the concept can seem abstract on its own. However, statistics help bring the dangers into focus. Here are some of the most important data to consider regarding mixing drinking and opioids. Every year in the U.S., there are roughly 63,000 overdose deaths. Of those, about 66 percent involve opioids. The majority of these opioid fatalities involve other substances, including alcohol. In 19 percent of prescription-opioid-related emergency room visits, alcohol is also present. Veterans and the homeless have the highest risk of overdose from mixing opioids. Amongst the most common prescription opioid and alcohol mixtures are Vicodin and alcohol. The most dangerous street opioid and alcohol combination is heroin and alcohol. Because street drugs are often mixed with it, fentanyl and alcohol overdose is also a great risk. It is estimated that 7 out of 10 teens who abuse opioids mix them with alcohol. Together, these statistics paint a dire picture for those mixing opiates and drinking. Anyone who is doing so should seek treatment immediately to prevent overdose and death. If these signs are noticed, the user should be guided to seek treatment for addiction immediately. Without intervention the risk of overdose is high. Should an overdose occur before getting treatment or after a relapse, it is possible for the user to live still if emergency care is sought quickly. Treatment for an overdose will include several things. First, the user will be given a medication to counteract the opioid, such as naloxone. Then, they may have their stomach pumped to get rid of any substances that have yet to be digested. At this point or possibly before, they will be given an IV that will get fluids into their system, helping the body flush out the dangerous chemicals. Once the person is stabilized, they will be released, either to go home or to enter a rehabilitation program. When someone is addicted to multiple substances, the recovery process is a bit more complicated. However, there are many rehabilitation centers that specialize in this. It is vital that the user seeks a center that understands this more complicated addiction as rehabs that do not can make mistakes. 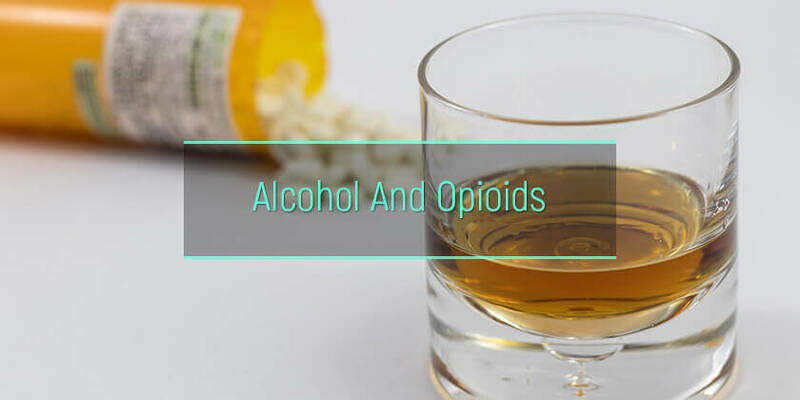 For example, alcohol intensifies suboxone, which is why it is imperative to inform the rehabilitation specialist about all the substances consumed to give a full understanding of how treating the opioid addiction might be impacted by the alcohol addiction. Of course, to get accurate treatment, the patient must be open and honest about how they are using opioids and liquor. With honesty and commitment, the right treatment facility can help users get and stay clean. For those mixing codeine and alcohol or using any other opiate while drinking, the risks are high. However, treatment can help end the addiction and eliminate the dangers it brings. The right treatment facility is out there. With a little help, all addicts can find the care they need.